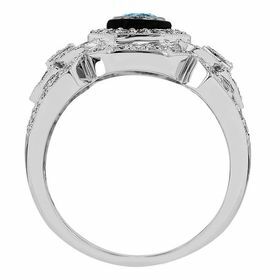 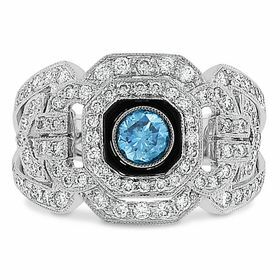 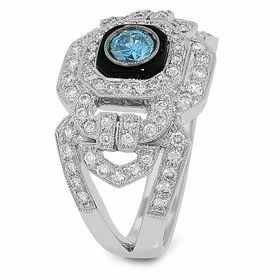 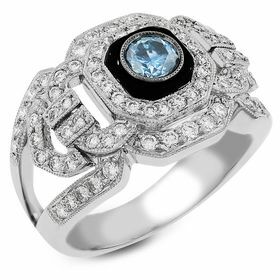 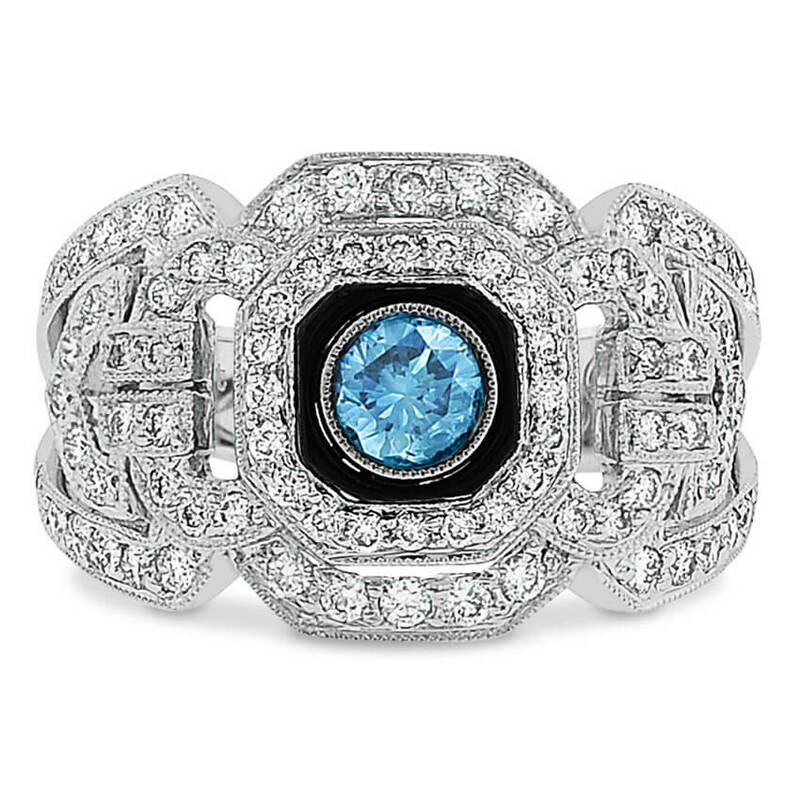 In South Beach or in the South of France, Be Breathtaking in this Art Deco Design Ring featuring 0.37 Ct Round Vivid Blue Created Diamond Centers with contrasting Onyx and Diamond Accent Stones. 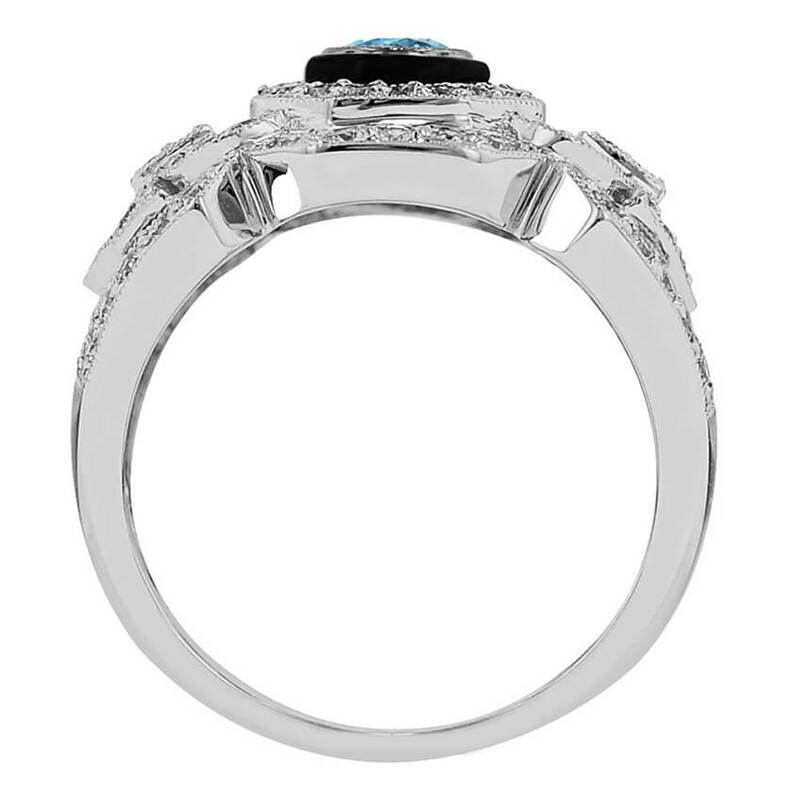 The Ring is set in 18kt white gold and matching Leverback earrings are also available. Each item is accompanied by a grading report and a certificate of Eco-Friendly Origin.